Alpine Communications is pleased to announce that Elizabeth Roach is the recipient of a $5,000.00 college scholarship from Alpine Communications and the Foundation for Rural Service (FRS) the philanthropic arm of NTCA-The Rural Broadband Association. The FRS scholarship program awarded scholarships, ranging from $1,500.00-$5,000.00 to rural youth across the United States. Out of over 1,400 applications received this year, fifty three scholarships were awarded. The goal of the scholarship program is to help further higher education opportunities among rural high school students. 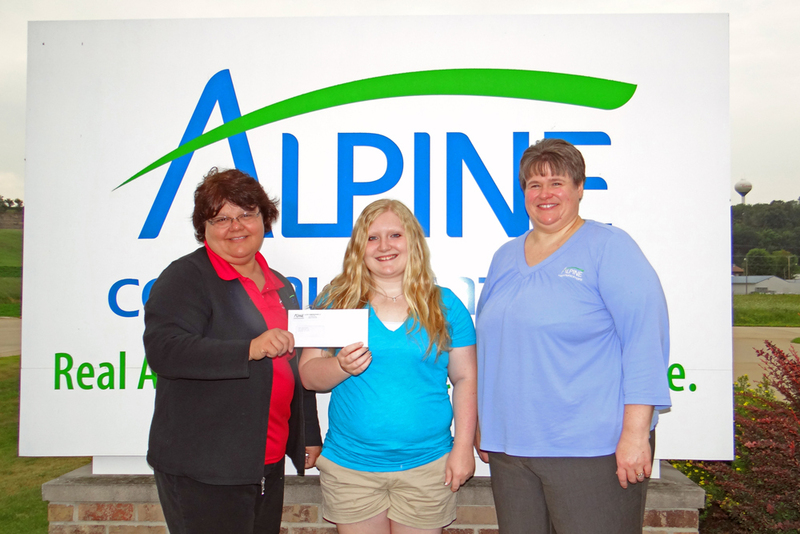 Alpine Communications strongly supports the youth of our community and is thrilled to sponsor this worthy program. The scholarship program is open to all graduating high school seniors that receive local telecommunications service from Alpine Communications. Applicants must be enrolled in an accredited two-year or four-year college or university, or vocational technical school, and have at least a C-grade point average.